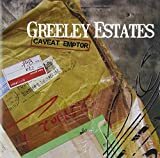 GREELEY ESTATES IN THE ASHES LYRICS"
and think about our secret? and wonder why i did it? Listen, if they come looking, you were never there. And know this, that if it comes to that i'll take the fall. when all i feel is the weight of my sin. All Greeley Estates - In The Ashes lyrics are property and © copyright of their respective owners. All In The Ashes lyrics provided for educational purposes only.